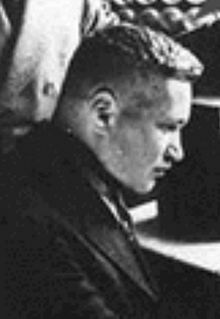 Lew Kowarski (10 February 1907, Saint Petersburg – 30 July 1979, Geneva) was a naturalized French physicist. He was a lesser-known but important contributor to nuclear science. Lew Kowarski was born in Saint Petersburg to Nicholas Kowarski, a businessman and the Ukrainian singer Olga Vlassenko. Following the Bolshevik Revolution, when Lew was 12 years old, his family fled west under adventurous circumstances and settled in Vilnius (then in Poland). During his youth, Lew was a talented musician and considered a music career; however, his fingers grew too large for the keyboard. He received a Chemical Engineering degree from the University of Lyon and an Sc.B. and Ph.D. from the University of Paris where he carried out research on neutron counting. He joined Frédéric Joliot-Curie's group in 1934, where Hans von Halban came in 1937. They established in 1939 the possibility of nuclear chain reactions  and nuclear energy production. While doing their research, the events of World War II forced them to eventually move to England, bringing with them the world's entire stock of heavy water, given on loan by Norway to France so that it would not fall into German hands. They continued their research at the Cavendish Laboratory in Cambridge for the MAUD Committee, part of the wartime Tube Alloys project. Hans Heinrich von Halban was a French physicist, of Austrian-Jewish descent. 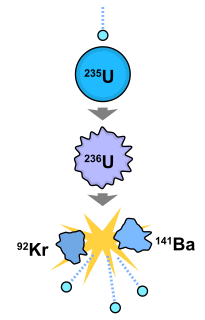 A nuclear chain reaction occurs when one single nuclear reaction causes an average of one or more subsequent nuclear reactions, this leading to the possibility of a self-propagating series of these reactions. The specific nuclear reaction may be the fission of heavy isotopes. The nuclear chain reaction releases several million times more energy per reaction than any chemical reaction. Kowarski then worked in the Montreal Laboratory in Canada, but only after Halban had been replaced as Director by John Cockcroft, as he did not want to work under Halban. He supervised the construction of Canada's first nuclear reactor (ZEEP) at the Chalk River Laboratories in 1945. The ZEEP reactor was a nuclear reactor built at the Chalk River Laboratories near Chalk River, Ontario, Canada. ZEEP first went critical at 15:45 on September 5, 1945. ZEEP's was the first operational nuclear reactor outside the United States. In 1940, James Chadwick forwarded the work of two French scientists, Hans von Halban and Kowarski, who worked in Cambridge, to the Royal Society. He asked that the papers be held, as they were not appropriate for publication during the war. In 2007, the Society discovered the documents during an audit of their archives. The documents describe how to control the chain reaction, describe the components of a nuclear reactor, and describe how to produce plutonium. Lise Meitner was an Austrian-Swedish physicist who worked on radioactivity and nuclear physics. Meitner, Otto Hahn and Otto Robert Frisch led the small group of scientists who first discovered nuclear fission of uranium when it absorbed an extra neutron; the results were published in early 1939. 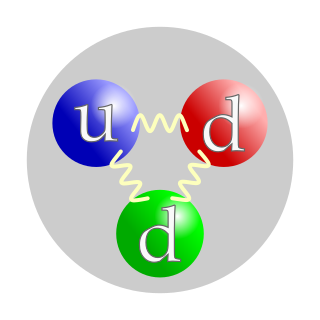 Meitner, Hahn and Frisch understood that the fission process, which splits the atomic nucleus of uranium into two smaller nuclei, must be accompanied by an enormous release of energy. Their research into nuclear fission helped to pioneer nuclear reactors to generate electricity as well as the development of nuclear weapons during World War II. Georges Charpak was a Polish-born French physicist from a Jewish family who was awarded the Nobel Prize in Physics in 1992. Tube Alloys was a code name of the research and development programme authorised by the United Kingdom, with participation from Canada to develop nuclear weapons during the Second World War. Starting before the Manhattan Project in the United States, the British efforts were kept classified and as such had to be referred to by code even within the highest circles of government. Francis Perrin was a French physicist, the son of Nobel prize-winning physicist Jean Perrin. The Saclay Nuclear Research Centre is one of nine laboratories belonging to the Commissariat à l'énergie atomique (CEA), which hosts the administrative headquarters of the CEA and a major national laboratory. It is the heart of French nuclear research since Frederic Joliot-Curie founded it after the Second World War. Its campus was designed by the architect Auguste Perret. Bertrand Goldschmidt was a French chemist. He is considered one of the fathers of the French atomic bomb, which was tested for the first time in 1960 in the nuclear test Gerboise Bleue. Operation Swallow: The Battle for Heavy Water is a Norwegian-French film from 1948. The history is based on the best known commando raid in Norway during World War II, where the resistance group Norwegian Independent Company 1 destroyed the heavy water plant at Vemork in Telemark in February 1943. ↑ H. von Halban, F. Joliot and L. Kowarski, Nature 143 (1939) 470 and 680. ↑ Cohen, David. 2007. “Secret Fission Papers were too Hot to Handle.” New Scientist. Issue 2607, June 11, 2007, page 10. ↑ "Snapshots from the early days". CERN Courier. May 2014. ↑ "Who's who in Cern: Lew Kowarski: leader, data handling division". CERN Courier. 2 (5): 3. May 1962.